These devotional entries for May 29 by A.W. Tozer are good for servants of the Good King to think about. Tozer In The Evening: Why Settle Down? Why should a Christian “settle down” as soon as he has come to know the Lord? I blame faulty exposition of the New Testament for stopping many Christians dead in their tracks, causing them to shrug off any suggestion that there is still spiritual advance and progress beckoning them on. It is the position of some would-be teachers that everyone who comes into the kingdom of God by faith immediately obtains all there is of God’s spiritual provision. I believe that such a teaching is as deadly as cyanide to the individual Christian life. It kills all hope of spiritual advance and causes many believers to adopt what I call “the creed of contentment.” I am sure you agree with me that there is always real joy in the heart of the person who has become a child of God. Sound teaching of the Word will then hold out the goal of moving forward, emulating the Apostle Paul’s desire to become a special kind of Christian! 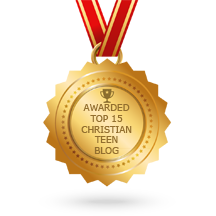 This entry was posted in A CLICK A BLESSING TODAY, Christian Life and the Word - Lightbearers for Jesus and tagged A.W. Tozer, Abraham, Bible, calling, Christian life, Devotions, Fellowship, God, Paul, Sound doctrine, spiritual growth, Surrender, teaching. Bookmark the permalink.